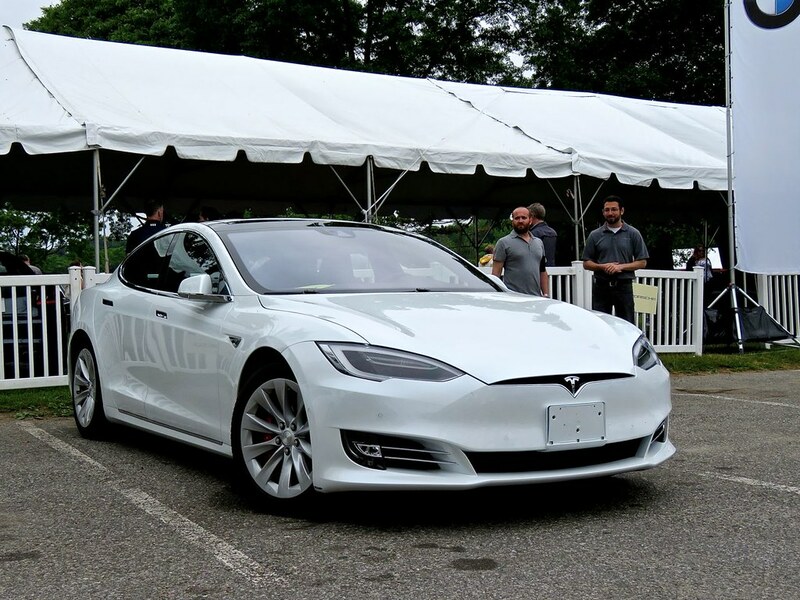 Are Electric Cars REALLY the Future for Driving Enthusiasts? Watching the first episode of the new season of Top Gear, and Chris Harris made a comment about the Ferrari FXX K possibly being the last gasp of the combustion engine. It’s a comment we’ve heard before, and I’m sure it’s a comment many will continue to make. But I don’t buy it for a number of reasons. Sure, I do think electric cars, specifically self-driven electric cars, are the future for mass independent transportation. I think so many people out there have so little interest in driving that they’re a danger to themselves and everyone around them when they get behind the wheel. Those folks should leave the driving to the machines, the world will be a much happier place. But what about those of us who live to drive for recreation, just because driving is so much fun? Obviously you can totally forget the self-driving cars, but are electric cars even that desirable to us? I ask this question as someone who has experienced 0-110mph in the blink of an eye in a Tesla P90D. That sort of acceleration is a lot of fun, but driving-wise the car is sort of a one-trick pony. Even with such ferocious acceleration, it comes with so little drama that it actually gets normalized to you pretty quick, once your body acclimates to the sheer force of it. Have you ever ridden the same roller coaster six or seven times in a row? The seventh run is nowhere near as exciting as the first. The same can be said of fast cars with internal combustion engines, but they have other aspects that keep the excitement fresh. A huge part is the sound the engine makes, as well as the dynamic feeling of the engine’s power curve as the revs climb. All of that adds a very clear and distinguishable personality to a car with a combustion engine. In an electric car, the power is either on or off. There’s no sense of a voice, and, while brutal and exciting, the power delivery feels artificial. It’s immediate, but it’s almost too perfect, too “right now.” There are no nuances to give it any real sense of life. It’s thrilling, but there’s nothing to make it feel like anything much more than an appliance. I can hear some of you yelling at me right now, what about the Rimac Concept One that beat the Porsche 918 Spyder??? Look, I have immense respect the performance of the Rimac, the Tesla, and the other insane electric supercars that are sure to come. But at the end of the day, it’s not performance alone that makes a car desirable for driving enthusiasts, it’s the total experience. I’d much rather have a slower car that makes the right sounds and feels genuinely alive than a cold appliance that merely accelerates faster than gravity. I mean, imagine seeing a Ferrari, glistening bright Italian red in the light of the sun. Imagine getting in, turning the key, and putting your finger on that juicy red starter button. This is that legendary moment that so many people yearn for. The suspense is building exponentially as you press the button to awaken the beast and… nothing. Instead of the car bursting to life with a symphony of thunder, you get a tiny beep that lets you know the car is ready to drive. In what world is that preferable? Yes, it’s probably better for a Camry to go about its life quietly, but a Ferrari, or a Porsche, or a Lamborghini? No way in Dante’s fiery Hell. I just don’t think an electric takeover is desirable for driving enthusiasts. You have to remember, there is a clear distinction between cars meant for transportation and cars meant for recreation. Transportation will be rightly electrified soon enough, but recreation isn’t about efficiency, it’s all about enjoyment. I have been one to complain about the decline of manual transmissions in favor of paddle shifters, but electric cars remove the skill of the driver even further by getting rid of shifting all together. To drive an electric car, all you have to do is steer, gas, and brake. It’s easy, but there’s much less to do, less involving you as a driver. Again, that’s great for everyday transportation, but terrible for a sports car. I think, in many ways, humanity is getting way too caught up in making every aspect of life totally efficient, and all too often, it takes away from the depth of experience in life that we all actually crave, deep down. We’re striving to do everything we possibly can without first asking if we should. Happily, there is a wide counter movement that is gaining momentum that will hopefully keep balance in the human experience. This can be seen everywhere from the burgeoning craft beer industry, to the new Porsche GT3 again being offered with a three-pedal manual gearbox. I’m fine with making the world more efficient, so long as we’re mindful of how far we really “should” take it. Nobody wants to end up in one of those perfect dystopian futures where being human is illegal. At the end of the day, the things people want are the things that get made, and I think the internal combustion engine will remain desirable in the enthusiast niche for the long haul. Cars with engines will surely become novelty items, but few things can offer such a complete experience for all of the senses at once. Electricity may be able to take transportation to the next level of efficiency, but it can’t offer the same type of sensual feast we crave. For that reason, I don’t think a total electric takeover is coming, at least not for enthusiast cars. Don’t get me wrong here, I do think electric sports cars and supercars deserve a solid place in the automotive world, but I also don’t think they can (or should) replace the cream of the combustion engine crop. I’d love to drive the Rimac to experience it, but I’d rather own a basic 911 or even a Miata for day-to-day enjoyment. you words nearly brought tears to my eyes!